An essential element of Indian culture and wellbeing, Ayurveda is more than simply spa treatments and yoga retreats. Established approximately 5,000 years ago, it’s one of the oldest healthcare systems in the world, focusing on prevention of disease, as well as treatment, in order to attain long-term health. The Ayurvedic resorts in Kerala are among the best in India and with stunning coastline to match effortlessly combine wellbeing and beaches. Located on the cliff tops at Kovalam overlooking the Arabian Sea, the Niraamaya – Surya Samudra offers extremely comfortable hotel facilities alongside a globally acclaimed spa. 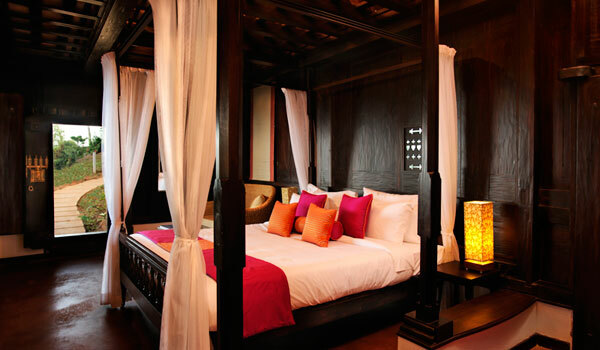 Each of the resort’s 31 luxurious heritage cottages have been designed in the format of a traditional Keralan home, but feels more akin to a sumptuous seaside retreats, complete with original terracotta roof tiles, weathered wooden furnishings and enormous four-poster beds. The Niraamaya – Surya Samudra’s spa offers a combination of tailored wellness packages and detox programs, as well as individual treatments and beachside yoga sessions. Set on the shores of the Malabar Coast, Somantheeram Ayurvedic Health Resort blends beautiful surroundings and luxurious sea view bungalows with a deep understanding of the teachings and practices of Ayurveda. One of the most renowned Ayurveda retreats in Kerala, Somantheeram was established over 20 years ago and has repeatedly won awards for being the best Ayurvedic centre in Kerala. All manner of treatments are available following an in depth consultation with one of the doctors, who will then draw up a personalised treatment plan. This restored palace is the place to go if you’re really serious about Ayurveda. Part clinic, part ashram and part spa retreat, Kalari Kovilakom requires a minimum stay of 14 nights in order to ensure the best possible benefits from the treatments on offer. Surrounded by verdant gardens and hidden away in a quiet Keralan village, you’re guaranteed a tranquil, restorative experience, far removed from the pressures of everyday life. Treatments are based on the needs of the individual and their specific Ayurvedic body type, so you can be sure of a transformative experience. 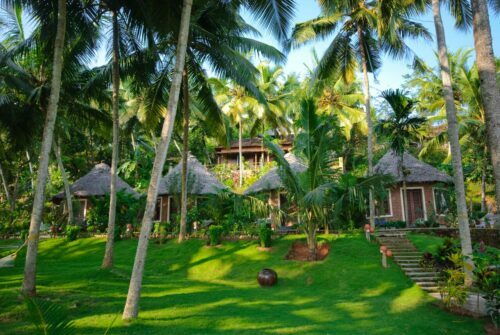 Offering a more bohemian approach to wellness, Neeleshwar Hermitage provides guests with stand-alone beachside cottages scattered among the coconut groves on northern Kerala’s deserted Malabar Coast. 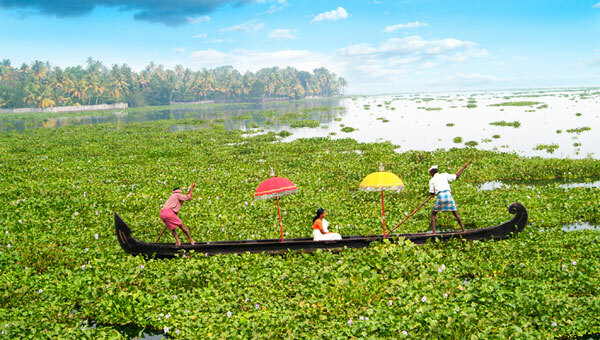 This area is known for its tranquil backwaters and lagoons – all easily explored on leisurely boat trips or enjoyed from the shoreline pre- or post-treatment. 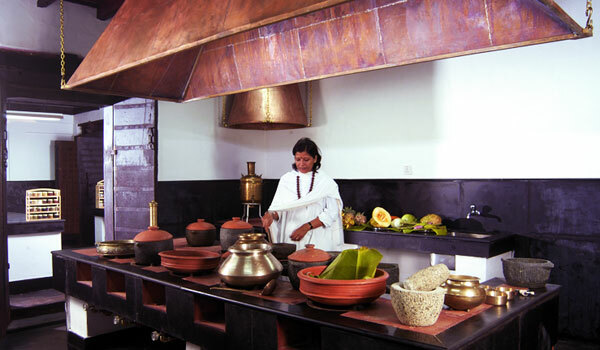 Neeleshwar Hermitage practises Ayurveda in the traditional way, using only organic, natural products and ancient Ayurvedic techniques. Beach yoga and candle light mediation sessions are a must here. This small six-bed boutique villa, set on the shores of Lake Vembanad in the heart of Kerala’s backwaters, offers a surprisingly broad range of treatments from its petite two-room Kama Ayurvedic Spa. The latest addition to the Malabar Escapes portfolio of properties, Purity offers a waterfront garden and individually designed and decorated rooms housed within a striking Indo-Italianate villa. With such a tranquil location it is almost impossible not to feel the benefits in a really short space of time. 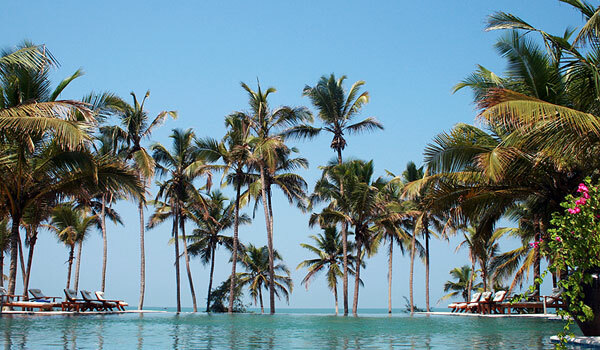 For further information on Kerala you can view our itineraries Malabar days and Secrets of the South.